N.E.O.S.C.I.A | North Eastern Ontario Soil and Crop Improvement Association. Serving the Northern Agricultural Community since 1966. North Eastern Ontario Soil and Crop Improvement Association. Serving the Northern Agricultural Community since 1966. The North Eastern Ontario Soil and Crop Improvement Association is pleased to provide you with this season’s current information on agriculture in North Eastern Ontario. The Breaking Ground Farm Newsletter is published 4 times yearly by N.E.O.S.C.I.A. To have the Breaking Ground Farm Newsletter sent directly to your email inbox, contact Graham Gambles, Regional Communication Coordinator, NEOSCIA, (gamblesgraham@yahoo.ca ). 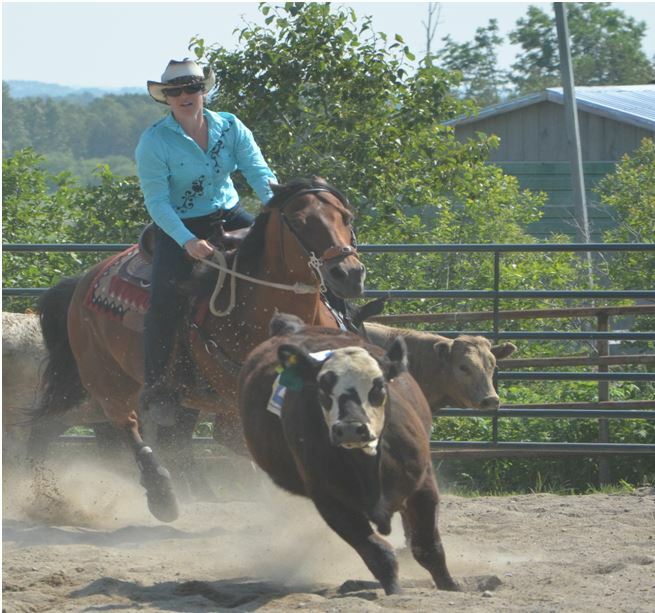 On August 16 2014 there will be a special team penning/sorting event sponsored by the Northern Ontario Cow Horse Association at Cougar Ridge Farms on Greenwood Bridge rd. in Thornloe, starting at 10:00 AM. NOCHA is a club that was formed 4 years ago by some horse enthusiasts, including some of our past alumni Leo and Linda Giesen, and Dennis Peddie. The club holds a monthly show from May to September. Dennis, along with his wife Rena run a cow calf operation and horse farm just north of New Liskeard on Greenwood Bridge Road, Thornloe. Leo, Linda, Dennis and Rena, along with Moira Taylor, Samantha Aitchison and Debbie Armstrong invite you to come out and spend a few hours with them watching some exciting cow horse fun! It has been twenty years since the New Liskeard College of Agricultural Technology closed. Many of the 800 alumni and staff have been requesting a reunion in 2014. NLCAT Alumni President Don Leggett, Jean-Denis Methot and Candy Keith have volunteered to plan the week-end of August 15-16, 2014. This is a once in a lifetime opportunity to get together once again in New Liskeard (Temiskaming Shores) with many fellow alumni and staff. Dymond Hall has been booked for the Friday night reception and cash bar, starting at 8 pm, and the Saturday night Banquet and cash bar (6 pm). Gisele’s Catering, who ran the College cafeteria for years, will provide finger food for the Friday night reception and a choice of roast beef or roast chicken dinner on Saturday night. tickets is Thursday July 31, 2014. Foire Gourmande open August 15-17, in Ville-Marie, where visitors get to taste food from north western Quebec and North eastern Ontario. To confirm your attendance, please copy and print the image below, and mail to the Reunion Organizers with your payment before the deadline, July 31, 2014. – SAMCO Corn Under Plastic Project at Phillips Seeds Ltd, Kerns Twp. – Quinoa – Ontario’s New Premium Food? 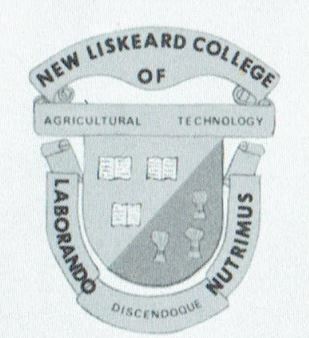 In April 1994, the New Liskeard College of Agricultural Technology (NLCAT) closed its doors and eventually became the New Liskeard Agricultural Research Station (NLARS). About 800 students graduated from NLCAT between 1966 and 1994. 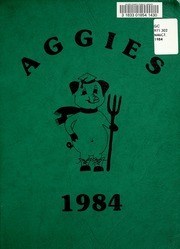 A Facebook group, the NLCAT Aggies, was created a couple of years ago. It currently has 155 members who live all over Canada and beyond. Back in April 2013, the Facebook group remembered “Black Friday” in 1993, twenty years ago, the day of the announcement that NLCAT would close a year later, in 1994. Discussions began online about a week-end reunion for all students and staff of the former NLCAT. This reunion is to mark 20 years since the College, as we knew it, closed. The reunion will be held during the weekend of August 15-17, 2014. The draft agenda includes a welcoming reception on Friday night, a tour of NLARS (New Liskeard Agricultural Research Station) on Saturday, a Banquet on Saturday night and a closing brunch on Sunday morning.Also being considered as an option is the “Foire Gourmande” in Ville-Marie on Saturday. This is a once in a lifetime homecoming opportunity for everyone to meet again and reminisce about their years spent at the College and to meet alumni from their class as well as from other classes and staff. This is also a great opportunity to bring along families with who to share those memories of the years at NLCAT. The biggest challenge is to locate all students and staff who were at NLCAT over the years. We are asking anyone who knows NLCAT alumni and staff to make sure to let them know about this reunion. NLCAT alumni can either join the NLCAT Facebook group or contact JD Methot (jd40@xplornet.com) to provide their coordinates. Reunion details will be posted on Facebook and sent to everyone who provided their coordinates once the plans are finalized. The Temiskaming Regional Crop Tour took place last Thursday Evening. Check out the pictures from the tour @ www.temiskamingcc.blogspot.com !! On July 14, join Terry Phillips on the Bayer Dead Weeds Tour in Temiskaming. See new technology and get an update on new fungicide chemistry for cereals and canola. Then take a private tour at C&M Seeds test plots to take a look at new varieties of wheat. Then on July 15, travel with Terry to the Ontario Canola Growers Assoc. Crop Production Center at Shawridge Farms (Arthur, ON). Take a look at new varieties and production techniques in a high yield environment. This is your chance to rub shoulders with some of the top producers in the Province. Farmers from across North Eastern Ontario and other interested persons are invited to join Sudbury District Soil & Crop Improvement Association for a crop tour on August 6 in the “Valley” area (north of the City of Sudbury). We will gather at Sudbury Downs race track between 9:30 and 10:00 A.M. Buses will leave sharp at 10 to take us to our first stop to view a “Green Mines/Green Energy” project. This reclamation project features crops being grown for energy production on mine tailings which have been amended with paper mill sludge. Our lunch stop will be at Beaulieu Farms which is a berry and produce operation. Next we will visit a large potato farm which includes a processing and packing operation. The final visit of the afternoon is to an elk farm. This farm is also the location of a Sudbury Crop Improvement Association project in 2008 which featured various soil amendments. There will be an opportunity to see if any of the visual effects of these amendments are still evident. We then finish the day at “market Square” in downtown Sudbury for a barbeque.Please mark your calendars for this informative event!